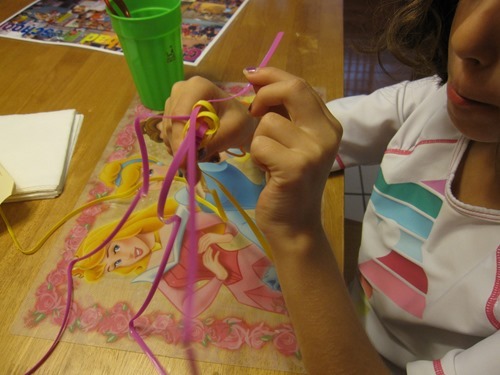 Anyone out there remember making lanyard at camp? Or anywhere else? At my camp it was a huge part of our experience! 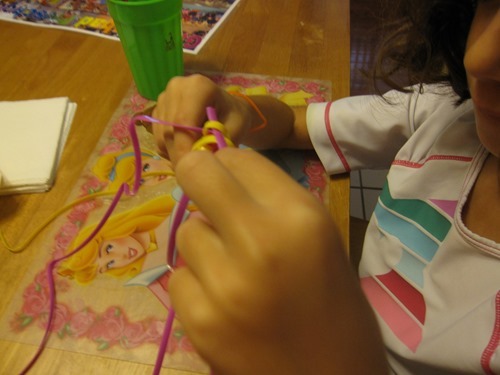 The other day I picked up some lanyard for Gabbie to try and I taught her how to do the box stitch. 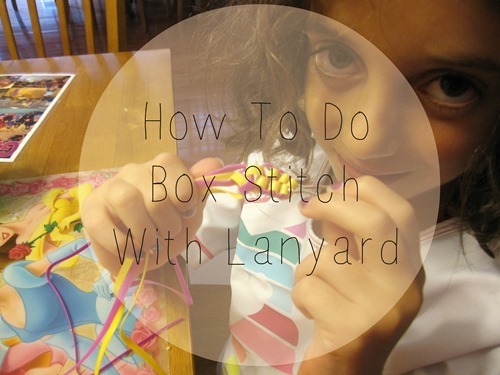 She is thrilled to star in this post and show everyone out there how to make the box stitch! Step 1: Cut your lanyard, either with 4 strands or 2 that you double over. 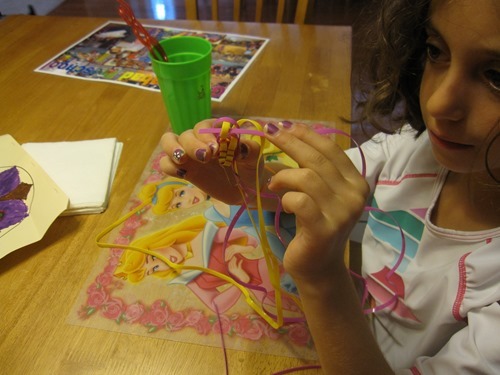 Starting is a bit more complicated, but you’ll want to hold onto the knot under your stitches. 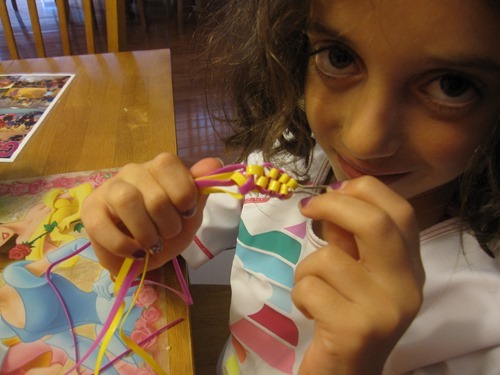 Step 2: In Gabbie’s example, our colors are yellow and purple, so I will be referring to those colors. 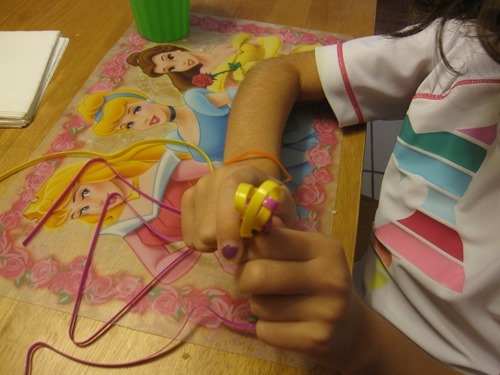 Make a yellow loop straight across and hold. 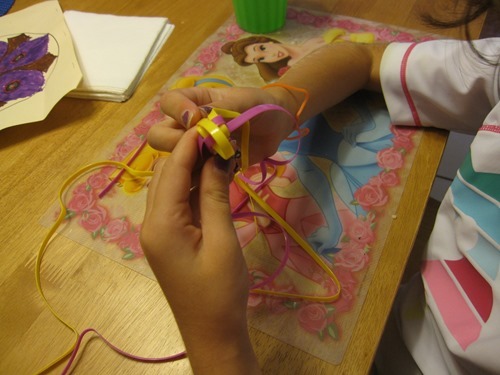 Step 3: Right next to your first yellow loop, make another yellow loop straight across, in the opposite direction. 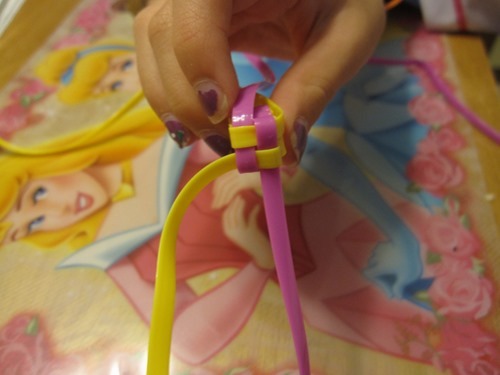 Step 4: Now we make purple loops which are perpendicular to the yellow loops. You will go over the first yellow and under the second. 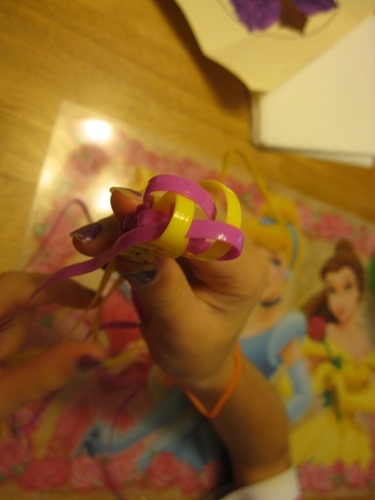 Make sure the strands go straight across to the other side of the box. After your first stitch, you will see the same color underneath where the woven strand should end up. 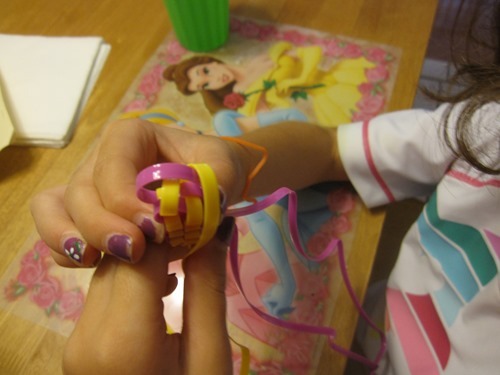 Step 5: When the strands are on correctly they will look how they look below. Now pull! 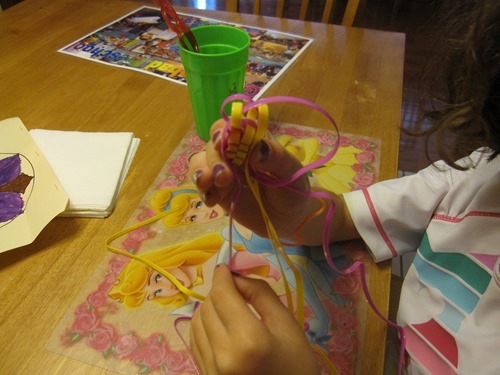 It works best to pull the yellow strands at the same time and the purple strands at the same time. Step 6: Keep going! When your lanyard is long enough you can use it as a keychain.